It may seem extreme, but new mothers are turning to surgery and spending thousands of dollars within months of giving birth in a bid to bounce back from their post-baby body. 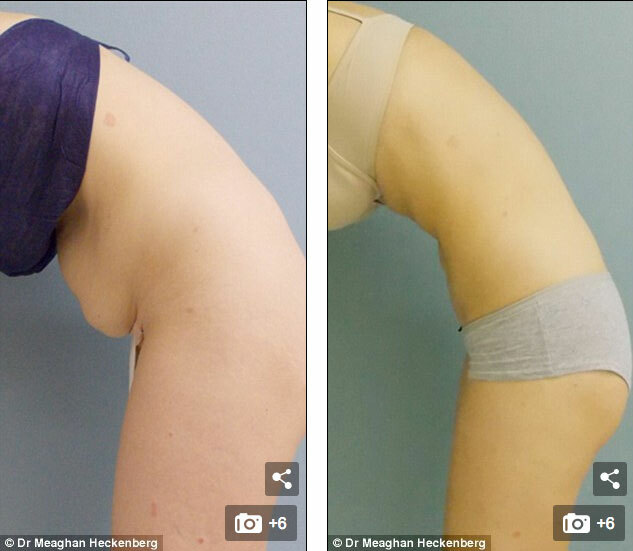 Sydney liposculpture surgeon, Dr Meaghan Heckenberg, from Be Sculptured said women are choosing to get fat sucked out of their outer thighs (saddlebags), abdomen, hips and waist. ‘The most common body areas requested for improvement for new mothers would be the abdominal area, hips (love handles) and breasts,’ she told FEMAIL. ‘The desired outcome before liposculpture would be to get to pre-pregnancy weight or close to it. ‘Therefore there may be different times for different women where they are potential candidates for liposculpture. 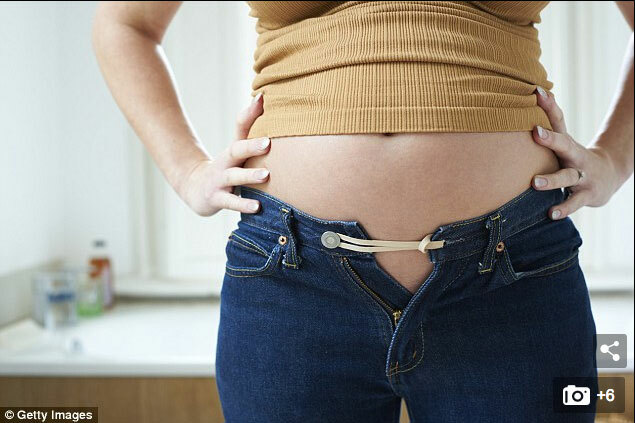 However, Dr Heckenberg said new mums shouldn’t rush into a procedure without first looking at diet and exercise; and examining their reasons for wanting liposculpture. ‘It may take three to six months after breastfeeding/lactation has ceased that the pre-pregnancy hormones are back to normal levels,’ she said. ‘It is quite common for women to experience some type of post-natal depression or post-natal blues,’ she aded. Procedures can cost anywhere between $6000 and $15,000 depending on the area being treated. Kylie*, aged 25, underwent abdominal liposculpture within a year of her first baby, costing $6900. ‘She had a thigh shaping liposculpture with me before she had a baby and was extremely happy with those results so she came to see me after she had a baby,’ Dr Heckenberg said. Lauren*, on the other hand, opted for surgery 15 months after the birth of her second baby. After having her abdomen treated in December 2017, Dr Heckenberg then did her hips to remove unwanted fat in January this year. The total cost for the two treatments was $15,000. According to Dr Heckenberg, the biggest problem for many patients is that the results won’t last unless a healthy diet and workout routine is followed. ‘Irrespective of being postnatal or not, it is important after any liposculpture procedure, that women commit to a healthy lifestyle, involving a sensible diet and exercise regime, in order to maximise and maintain the results,’ she explained. ‘A surgeon cannot control a person’s calorie intake and if excess calories are not utilised by a person’s body, then weight gain occurs. Some women may have lax abdominal muscles after pregnancy/ childbirth. She said that this entails more invasive surgery than liposculpture and will need to be done in hospital and under a general anaesthetic. ‘This involves a surgical incision along the lower part of the abdomen and up around the belly button, in order to stitch the separated abdominal muscles back together and possibly removing any excess skin,’ she said.